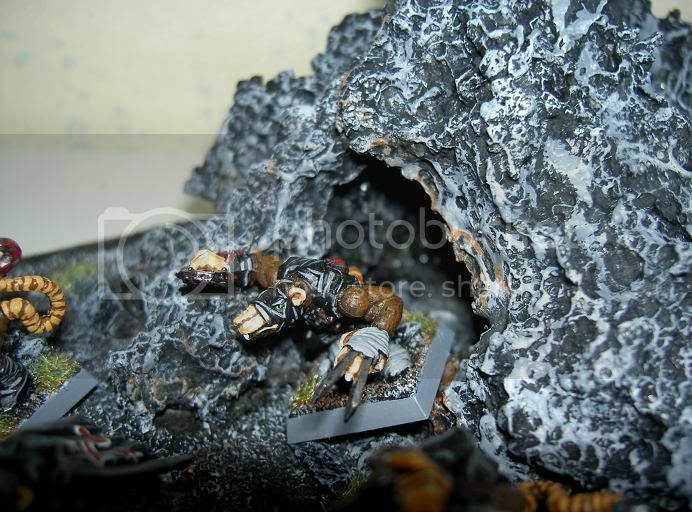 Warhammer 40k Forum Tau Online » Games Workshop/40K Related » Terrain » Cave entrence! well, actualy my first serious decision to add terrain. 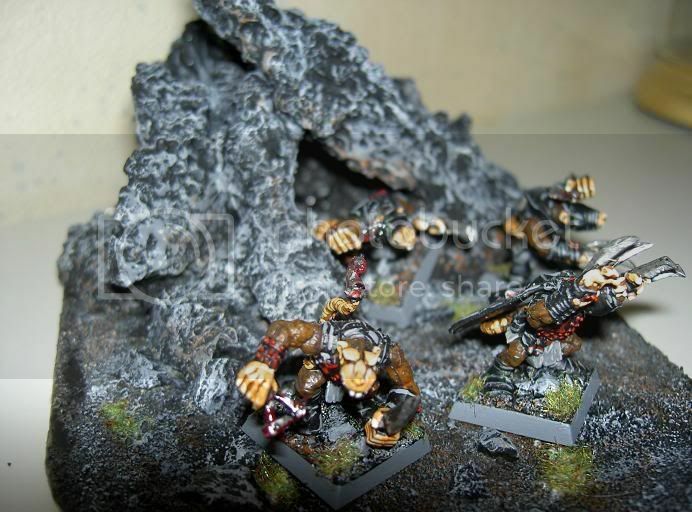 yes, i have played WH several years and still not made too much terrain to play on. 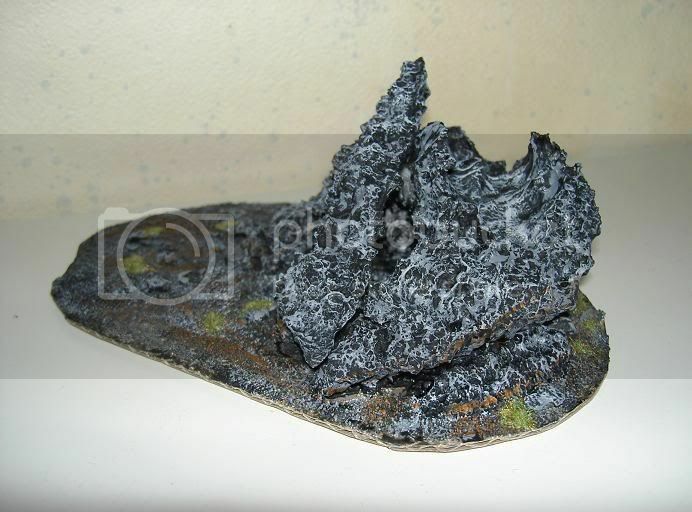 so, in celebration of Skull Pass which i hopefully gets on friday, i started up some Dwarf/skaven themed terrain. 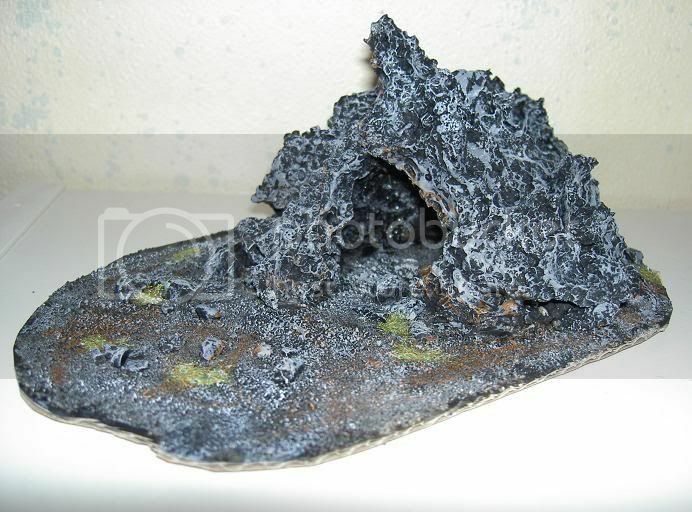 WOAH , that worked out great , even though you said to me , that it melted because you accidentally sprayed it , I think it may have made it look even more realistic . I like the way you&#39;ve matched up your minis&#39; bases with the terrain. Nice work. This looks really nice and very original. Only thing is the base if you did this on wood it would look even better. 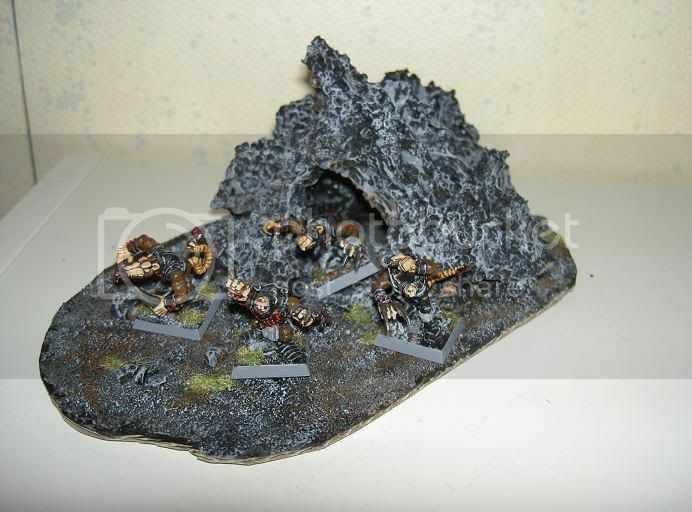 looks great, i specifically like how the cave is just shaped. I love the way you made it seem the tunnel is actually there, and its tough to see the back of the tunnel. Its tough to accomplish, and you did it amazingly! Well done!